We have just received an email saying that a wonderful mom has asked for support for her son serving our country. Her son, CPL JonPaul and his MWD dog, are in Afghanistan at this time. We will be putting together a few care packages to send to them in the coming week. 3 MWD Teams need support. gear we have goes quickly. “I was writing about the K9 support. Me and my dog “Red” are currently deployed to Afghanistan with ODA 1325. “Red” is a Specialized Search Dog (SSD) trained to find bombs, weapons and ammo. If you could please send us care packages it would greatly appreciated. This request just came in. 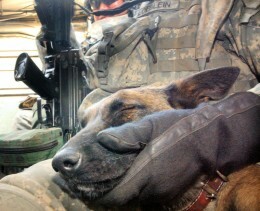 It still breaks my heart every time I hear a MWD team is in need. I am a MWD Handler that is deployed to Afghanistan with my dog, Brit. My name is SSgt Robert S, I’m in the Air Force and have been in country since November. Brit and I will be here through half of 2011. Brit and I would love it if you could send us a few care packages to help our stay here an enjoyable one. Any, and every dog toys, treats, blankets would be much appreciated. I am also here with other MWD Handlers that I could share the goodies with. Sir would you be interested in sponsoring Brit and I? We, of course, answered yes! Thank you for accepting to help us. Brit and I know that it is going to help tremendously. We will take pictures with the care packages so that you can see how much we enjoy and appreciate them. The only thing that I can think of that I would like is a dog blanket for Brit for these cold Afghanistan winter nights. Anything else such as toys, dog bones, treats would be awesome. I am going to spread the word about your organization and how you help deployed MWD teams, it’s the least I can do. If there is anything else I could do please don’t hesitate to ask. You are currently browsing the TroopDogs blog archives for December, 2010.